"Premium Teas wanted to make the most coveted Harney & Sons Fine Teas widely accessible in Canada and that was our main focus since inception." We’re a Toronto based company that works closely with Harney & Sons to distribute and retail online a curated selection of only the most coveted by consumers’ tea flavours. There is one thing for sure; we wouldn't have established this business, if we did not believe in the quality of these meaningfully sourced Harney & Sons tea blends. Before establishing Premium Teas, the founder was in the hospitality industry, working for world-renowned companies for over a decade, including performing afternoon tea service in 2005 at the Green House of the 5-star Four Seasons Hotel in Chicago. This is when he was first introduced to Harney & Sons Fine Teas and when his love for these teas started. Now, our company mission is to make Harney & Sons Fine Teas more accessible in Canada. Our ways of doing this is by offering this selection of teas online, at reasonable prices, with low-rate shipping from within Canada, and by distributing them to Toronto’s beloved coffee shops, bakeries, hotels, spas and restaurants, who want to offer only the best of the best to their customers. We’ve done the hard yards to bring Harney & Sons to Canada and we'd love you to taste our tea selection and share our passion for these great teas. After carefully researching consumers’ favourite flavours, we’ve chosen only the most coveted whole-leaf Harney & Sons teas for Canadians. We currently carry selected flavours of Harney & Sons loose-leaf teas in tins and 1 lb bags, whole-leaf tea silken pyramid sachets, decaf teas, the luxurious Historic Royal Palaces Collection, and even the Harney & Sons Wedding Tea, available in beautiful tins or in personalized and non-personalized wedding tagalongs that make the perfect wedding favours. “We offer the finest tea in the world at a price that makes it an everyday luxury.”, John Harney, Founder of Harney & Sons Fine Teas. Harney & Sons was founded on the commitment to provide customers with the finest quality teas available. This promise, made over 30 years ago, still guides the company in their operations nowadays. Today, the company is still family owned and managed business and after three generations in the business, is still preserving the founder’s traditions of traveling the world to search for the finest ingredients. From the tea garden to the teacup the Harneys manage the process. Cupping great teas, blending them into unique and uncommon blends that are packaged in their state-of-art facility. 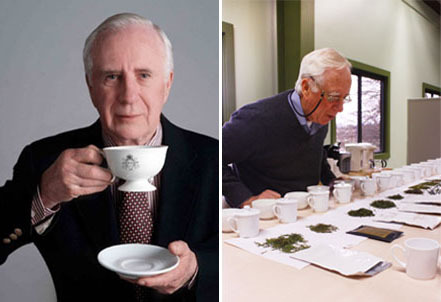 The Harney & Sons Fine Teas story in the tea industry began 30 years ago in Salisbury, Connecticut, when John Harney, developed a passion for fine teas and the art and craft of tea blending. He produced and served his distinctive blends that were becoming more and more popular among the tea drinkers. His small back then home-based business turned to be a global company covered by popular names like Oprah and Dr. Oz, and served at five-star hotels such as Four Seasons Hotels, Ritz Carlton, Waldorf Astoria New York, Peninsula, Shangri-La and other luxurious establishments. 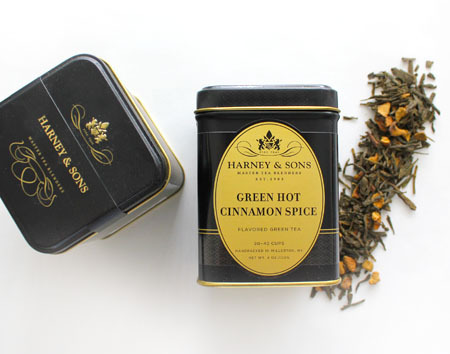 There are now over 300 varieties of teas that Harney & Sons fans can truly indulge in. Harney & Sons Teas are too good to keep a secret. Share a real cup of tea with friends and family.